Goals – Soccer International, Inc. The Deluxe European Club Soccer Goal meets NFHS standards. The entire frame is 3” round aluminum, and the goal is all-surface friendly in part because the net clips into the Kwik Lock® Net System around the entire frame. The Project Strikeforce® Soccer Goal is well suited for recreational and backyard play, as well as small-sided games. The Project Strikeforce® Soccer Goal features a 1½” round metal frame and Kwik Button® assembly, ensuring the goal can be assembled and disassembled in minutes. 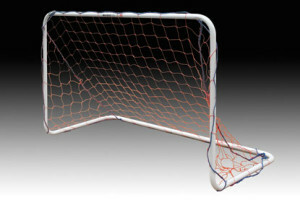 The Project Strikeforce® Soccer Goal is an officially licensed goal of U.S. Soccer. 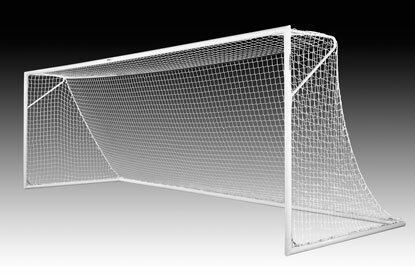 These are professional quality soccer goals for professional play that started it all for Scoremaster. With unmatched, beautiful and strong TIG welded construction and flawless finish, Scoremaster soccer goals are the standard to which others are judged. The number one choice for schools, parks, architects, planners, professional purchasers, groundskeepers and teams. 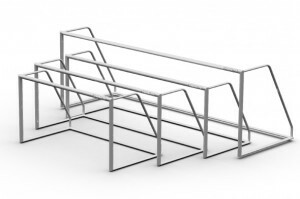 One piece, smooth profile, TIG welded Goal Ends – THE ONLY TIG WELDED GOALS IN THE WORLD. Two Goals per set. Each goal is broken down into 4 easy to assemble major components. Weld joints are reinforced with a doubler plate for extra strength. Uprights and Upper Cross Bars are made from 4 ½” X 4” D profile x .100 to .156” variable wall, oval, high strength, aluminum tube. 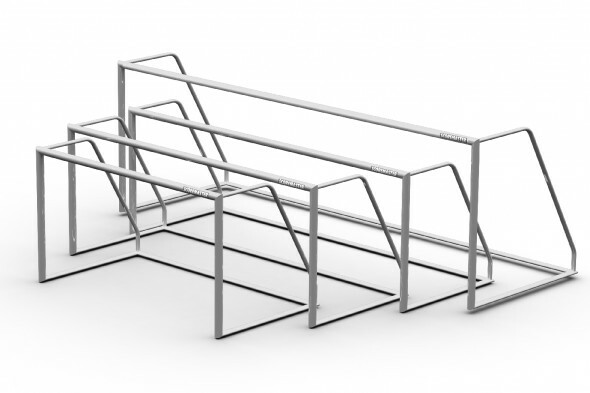 Deep Net Racks are made from 2” X 3” X .156” wall, high strength, oval aluminum tube for strength and stability. Rear Cross Bars are made from 4 ½” X 2” D profile x .100 to .156” wall high strength oval aluminum tube for strength and stability. Bright Aluminum Finish is standard; white powder coating available.